The Vapor Gypsy has been providing vaping enthusiasts with an extensive selection of premium grade e-cigarette products since 2014. Established by a dynamic father/daughter team, Jim Hare and Leslie Dean Turnbo, The Vapor Gypsy offers a wide range of distinctly flavored e-liquids and brand name equipment backed by solid relationships with industry experts and established connections with respected vapor product manufacturers. 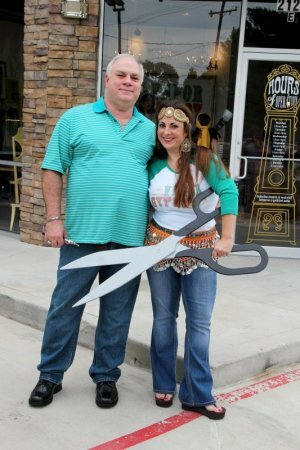 Inspired by her father's achievement of kicking a 30 year chewing tobacco habit in favor of vaping, Leslie's entrepreneurial instincts convinced her to open The Vapor Gypsy. The father/daughter duo traveled around the world to research the growing vaping industry in order to bring customers the best e-cigarette products available on the market today. With over 55 years of combined business and management experience, Leslie and Jim are excited about the opportunity to provide others with an alternative to tobacco. They are dedicated to quality and service, offering customers a relaxing vaping environment, along with personalized assistance by friendly staff members who are dedicated to providing the best vaping experience Houston has to offer!